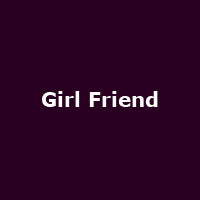 "Started in 2014 and inspired by the classic '80s electronic pop of Roxy Music, Soft Cell and Japan, Manchester's Girl Friend found a sound all of their own. A band unknowingly fizzing with modern feel. The band's songs channel the muse of lead singer Amory, an individual painting himself in lyrics as a character in internal conflict; consumed by his own vanity and either maladjusted or hopelessly hedonistic. "